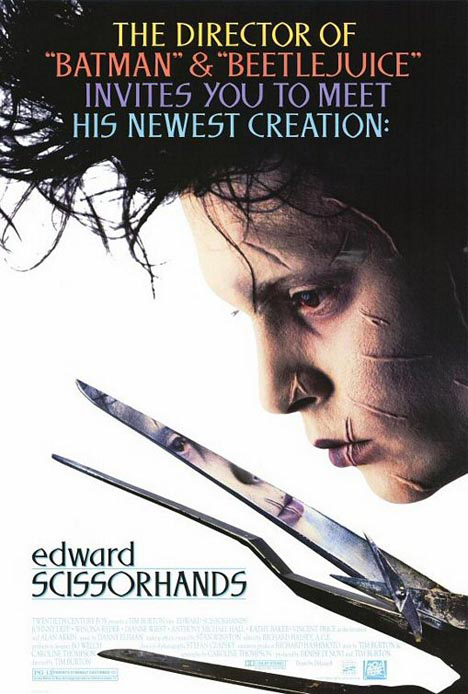 The plot focuses on Avon lady Peg Boggs, who encounters a shy and quirky looking man named Edward in a decaying, isolated and highly ornate mansion located on a large hill, overlooking a brightly coloured American suburbia. 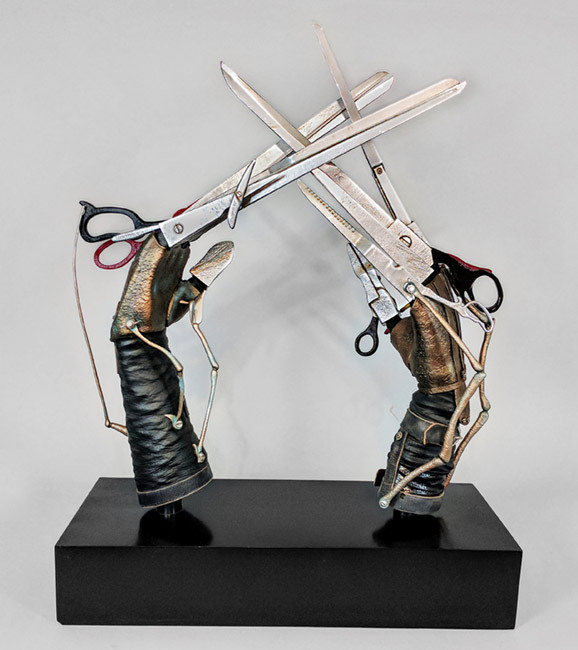 The man, who has hands made of scissors?is adopted by Peg into her own view on the 'typical American' family. There he falls in love with Peg's teenage daughter Kim Boggs, however their innocent relationship could potentially threaten Kim's romance with Jim (Anthony Michael Hall) however Edward's presence eventually brings love to everyone in his newly adopted neighbourhood. 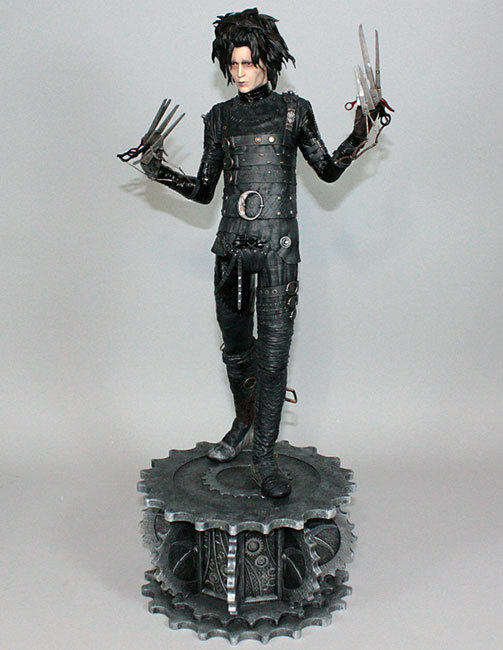 Edward Scissorhands Movie Prop Peplicas, Figures, Toys and Collectibles! 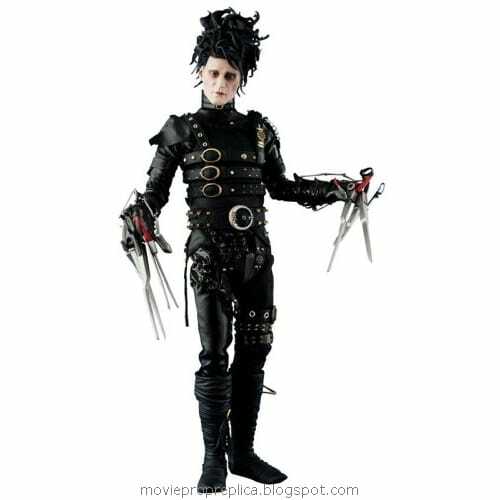 Sideshow Collectibles is proud to bring you Edward Scissorhands, the latest from the Hot Toys Movie Masterpiece line of 12-inch figures. Each figure features Hot Toys' fully articulated 12-inch figure body and a generous number of accessories. These are some of the finest 12-inch figures ever created, featuring incredible likenesses and amazingly detailed costumes.